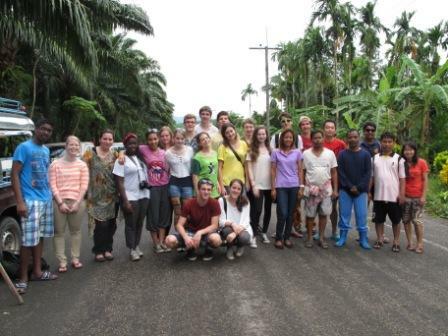 In February a group of 17 students from Hilversum International School in the Netherlands made a trip to Thailand to experience a Community And Service Study Tour that focused on working with local villages and projects. 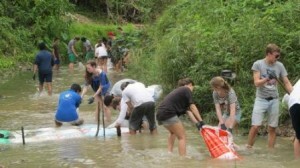 Some of the main tasks included reinforcing the riverbanks, conservation of the endangered water lily, building a dam at the local orphanage, and a beach clean up. The group started the Service Tour by planting reeds and building a dam in the village of Bang Soi. Then they went off to the local orphanage to help care for some of the 25 children, here they were also involved in reinforcing the river banks and constructing a dam. The group joined in a lot of activities such as soap making, massage oil making, and after school activities with local kids. 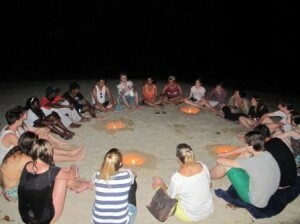 The last night of the trip was ended with a goodbye-ceremony at Khao Lak Beach, where we all enjoyed local Thai cuisine on the beach, a sharing circle, and then we lit the good-luck-lanterns and set them off into the sky. 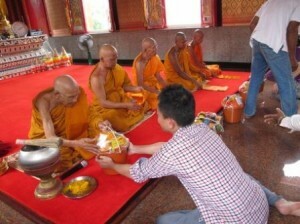 The group enjoyed their time in Thailand and we appreciate their contribution and dedication to our projects. 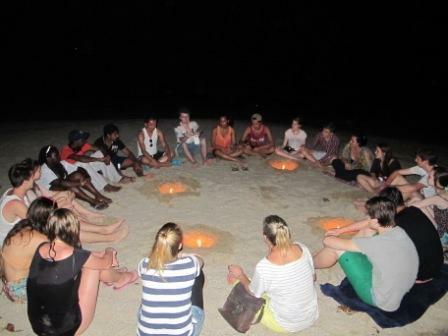 ”There isn’t a single way for me to express my gratitude for the experience you have all allowed me to have. You have opened my eyes to a whole new world where even more LOVE exists than I thought possible. To be surrounded by people like yourself, who have dedicated themselves and their lives to helping and making this beautiful country a better place inspired me to want to do good in this world. You are beautiful people and I cannot forget the joy and LOVE you have shown me and my peers this past week. Thank you, thank you, thank you again for these lessons and experiences that will always be in my heart. It saddens me to leave you all now, but I will go with a warm heart and a new outlook on not just Thailand, but this world and the people like you that are building it to be what it is.